Day traders can use online investment services or use commercial services to day trade stocks and other investments. 1. How Do I Day Trade Penny Stocks? Day trading is an investment strategy where investors buy and sell securities in short time increments in order to profit from slight changes in the price. Day trading requires investors to closely monitor and analyze financial information. Software helps investors follow information by tracking and charting key economic indicators and manage their account activity. 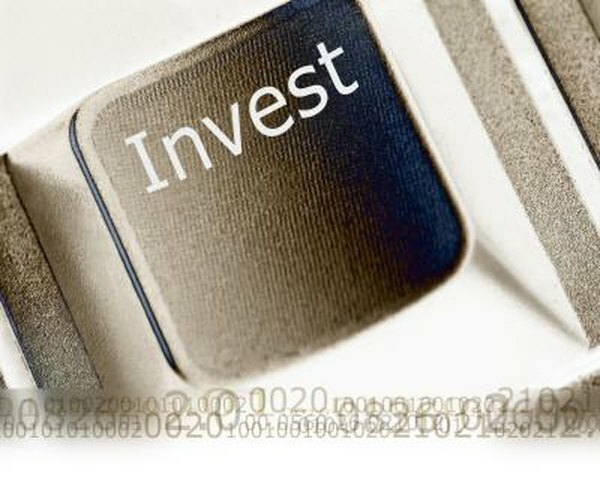 Investors will need to use an online investment brokerage and commercial stock trading software can provide additional tools for executing a day trading strategy. Day traders can choose from several online brokerage services that offer faster market access and volume pricing on commissions. Barron's rates several online brokers for the services they provide to frequent traders. Trading platforms should be easy to use and Day Trading Academy recommends evaluating platforms by comparing costs, features, order execution, chart tracking functions, customer service and installation. Direct access trading service are available to support high-volume day traders who use specialized software and require real-time information and market access. These services give investors more choices of where and how to send their orders, which investors can use to improve their profits over standard online services. Direct access trading services offer commissions based on a scale of a number of trades, as opposed to a per-trade commission charged by standard online brokerage services. A day trading platform must be able to provide investors with analytic tools to execute their investment strategy, which often requires buying or selling when key indicators reach specific levels. Key indicators include trading volume, level two stock quotes, moving averages, the tick index, the bid-ask spread and market sectors indexes, as most day traders specialize in specific industries, such as construction, retail or transportation. Software can automate buying when indicators reach specific levels. Trading platforms let investors use simulations to "backtest" their strategies on past market data. Consider upgrading your computer or buying a new one if your system doesn't meet the requirements for your Internet-based brokerage service. For best results, computers need at least 4 GB of RAM memory, but consider more if available. Most laptop computers can handle day trading functions, but many day traders prefer desktop systems because they can add multiple monitors to simultaneously follow different market indexes, stock prices or tracking charts. In order to regularly day trade, your online brokerage account must be designated for "pattern day trading," which under SEC rules requires at least $25,000 and meet other conditions. Day trading is defined as the purchasing and selling of the same security during any one-day period and can include stocks, options, futures and currency trading. Pattern day traders are defined as those that make four day trades within a five business-day period. Day Trading Academy: What Kind of Computer Do I Need For Day Trading?